The Polo stars competition flock to Arizona! (SCOTTSDALE, Ariz.) – Every year, the competition at the Bentley Scottsdale Polo Championships grows fiercer, and this year is no exception as the Aspen Valley Polo Club makes its debut at the event. On Saturday, October 24th, Aspen Valley will face off against the reigning champion Clogau Wales Polo Team, led by Team Captain Ricky Cooper, in the tournament’s signature match. Championships, held every December. The USPA Piaget World Snow Polo Championships is the only snow polo tournament in the US. Not only is the club developing new and exciting events, the Aspen Valley Polo Club also features some of world’s highest ranked polo players. One of the sport’s icons, Nic Roldan, will take the field for Aspen Valley in Scottsdale this October. When Roldan was 15 years old, he competed in, and won the prestigious U.S. Open, becoming the youngest player to ever do so. Since that time, Roldan has competed in every major tournament around the world and is one of the sport’s greatest ambassadors. Did we mention he’s also a GQ model? Ladies, you won’t want to miss the headline match! Juan Bollini, one of the best-known Argentinean polo players, with over 30 years of playing experience. Also, keep an eye out for Melissa Ganzi herself. Ganzi, who started playing in 2000, plays professionally with and against men and is also team captain of FlexJet, a team based at Wellington, Florida’s Grand Champions Club. Now, that’s what we call girl power! The Bentley Scottsdale Polo Championships is now one of the world’s most popular polo tournaments. 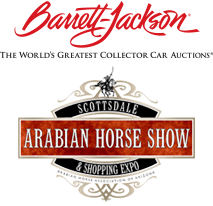 Held at WestWorld of Scottsdale, attendance at this year’s event is expected to top 10,000. The event not only features fast paced on-field competition, but is also Arizona’s premier fall social event. With the breathtaking backdrop of McDowell Mountains in Scottsdale, Arizona the event started in 2011. In 2014, more than 11,969 people turned out for what hastransformed into the country’s most attended polo event and the world’s most interesting.